"...would tell any one to see them for a good deal...they directed me to the best financing deal for me...helped me get truck home thank you very much Mike." "This place is awesome.... Milton approached us , showed us how to read their prices & said "NO PRESSURE GUYS & DRIVE ANY CAR YOU LIKE"
"...it's been about a year now and the truck is still running beautifully....I will be very likely to purchase many more vehicles in the future. Thanks Import Connection!" 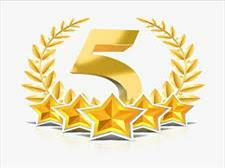 "They took good care of me I really appreciate it very nice people cars are reasonable price." "...This is my 2nd Sequoia i have purchased from them...I will continue to refer you more customers." "Great people great prices . I've purchased a couple vehicles there and I will buy my next one there also." "...my son bought his car 3yrs ago, & my daughter's 2 yrs. ago and my nephew also 2 yrs. ago . My mother just purchased her car a few weeks ago. All these cars were reliable! " "...awesome experience purchasing my car from them, they are very helpful...the choices and prices are the best I’ve seen..."
"Had a great experience overly professional and very pleasant to do business with." "...You want great service, great cars to choose from and good prices, come see these people..."